I’m so excited it’s the weekend! Normally the weekend doesn’t mean much to us aboard Nocturne because the humans work shifts and our ‘weekends’ are more often than not mid-week. This weekend though, not only are we all off, but we’re heading off sailing! The weather is looking promising, so tomorrow we’ll be setting sail for Ponza. We’ve been quite a few times now. I really love it there. We’ve even made furiends with some of the locals. I’m hoping that on the way we might see my furiends the dolphins. Our neighbour said he saw some a few days ago not far from our marina so I hope their pod is still close by. The last time we saw them, they played with us for quite a while. I’m sure they bring us luck. Gorgeous. Hope the dolphins make an appearance- look forward to the photos! My human doesn’t know what we will be doing this weekend – I hope she figures out something fun for me to do! My weekends will never be as exciting as yours are Bailey! Enjoy the sail to Ponza! 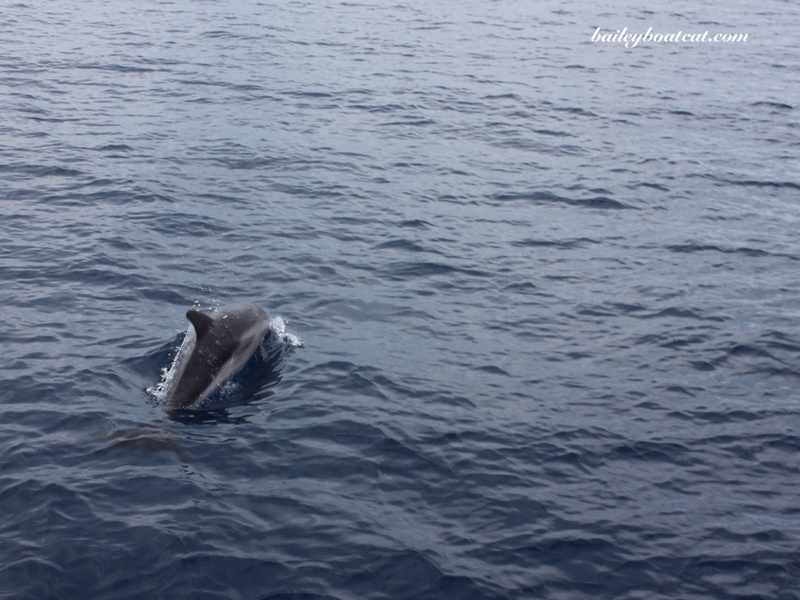 Oh, Bailey, I hope you see lots of dolphins! This weekend I am travelling to a museum reunion in Delaware. 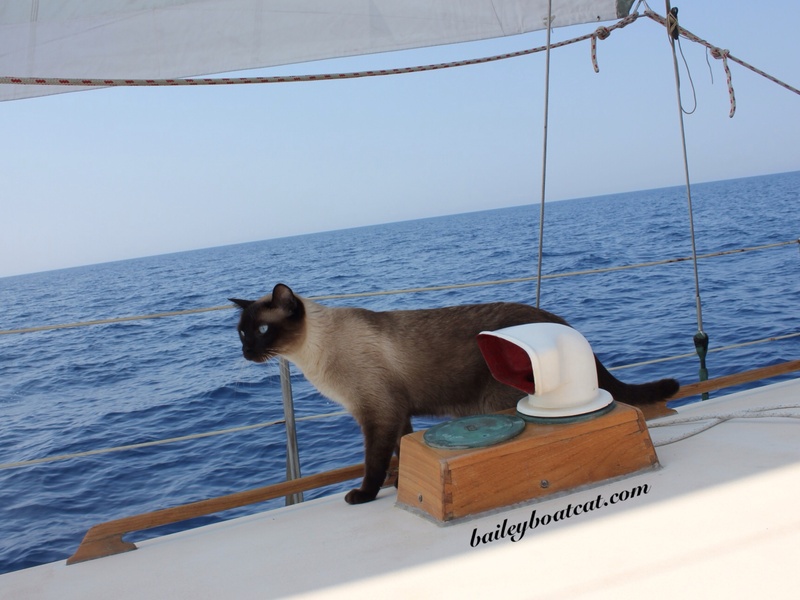 Good friends of mine are travelling near Naples, and they are on the lookout for maritime kitties! They’ll be taking a small boat to Capri to explore; then to Herculaneum and Pompeii. I’m not sure what we’re doing this weekend, but I’m pretty sure I will not see dolphins! Have fun! Hope ya can see da dolphins! Dis Saturday are my grandpa’s birthday – I’m hopin on snaggin some food. Pee-Ess : WP didn’t let us comment yesterday, don’t know why…. Me planz are not as fancey as yerz Brofur Bailey! Sail safe n we hopez ya see da Dollfinz too. Me planned Condo time (check); tuna-tuna (check); snugglin Mum (check); meowin wif *Hippy Hop* (check) n takin care of Mum who iz sick (check). Have a lovely weekend, and if you see the dolphins take lots of photos for us all less lucky folks!